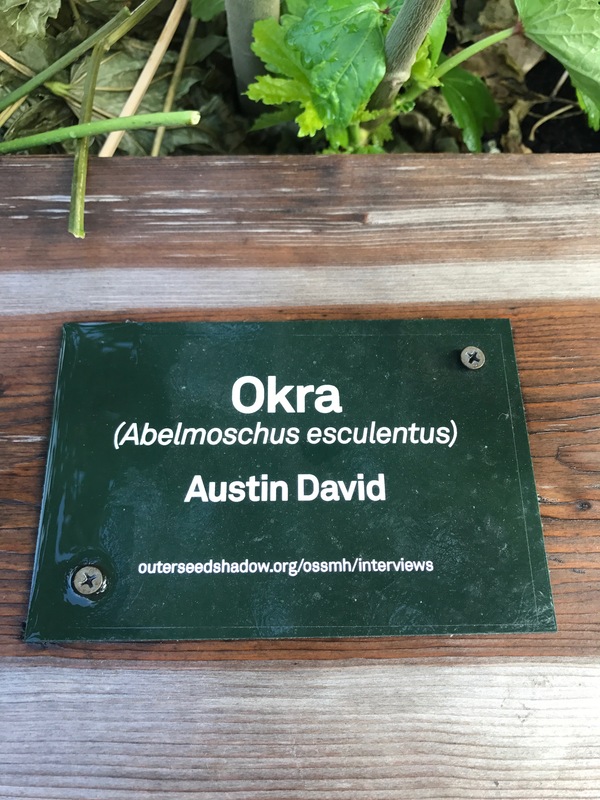 I chose Austin David Sr and his plant was the Okra plant. He talks a lot about how he feels that gardening and cooking are huge aspects in his life. He views gardening as a way of a type of meditation practice and it is very fun to him. He finds restitution and happiness whenever he would grow vegetables and would give it to people so they could cook it at their homes. Austin strongly believes that people should stick to a more organic and healthy lifestyle where you grow your own vegetables instead of going to places like Starbucks and the more high end stores. 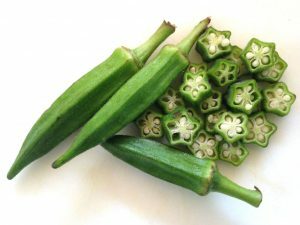 The Okra is a good representation of himself because it is a vegetable that is used in cooking and is also useful for many other reasons such as alleviating pain and more. Seeing the garden in person and hearing people talk about this made it a lot more real. It was a small garden, yet I felt that it had a lot of strength and this comforting atmosphere to it. It made me more appreciative when going in person because I imagined how it went from just an idea that Juanli had pitched to this garden that ties a whole neighborhood somewhat together. The idea behind it was very meaningful and effective in a way that it brought a lot of people closer to each other through this minuscule garden. It was interesting to see all the different plants people had chosen to be and it made me very curious to understand why they would choose that certain type of plant. I thoroughly enjoyed interacting with the garden and the people and it honestly made me change my perspective on gardening and it’s effectiveness to really bring change to a society.